In a wide-ranging speech, SEC Enforcement Director Andrew Ceresney recently laid out the Commission's enhanced program to root out financial reporting and disclosure fraud. His words were backed up in two recent cases announced by the Commission involving 'Enron-like' accounting and a failure to properly evaluate and provide accurate disclosures relating to internal control over financial reporting. The SEC brought charges against two organizations this week – a municipal water company and an oil company – for fraudulent financial reporting and faulty evaluations of internal controls. In both cases, the companies and management were charged; in the second case, two audit firms were charged as well. In more than a little irony, not only was Enron the poster child for fraudulent financial reporting among a group of multibillion dollar companies hit by financial reporting fraud in 2001-2002 (including Enron, WorldCom, Tyco, Adelphia) leading Congress to enact the Sarbanes-Oxley Act, but Enron itself had a water company, Wessex Water, under its umbrella. As to charges against partners from audit firms associated with MHR, according to the Commission, “The SEC also charged former MHR consultant [and PCAOB-registered audit firm partner] Joseph Allred, and former MHR audit engagement partner Wayne Gray, with improperly evaluating the severity of MHR’s internal control deficiencies and misapplying relevant standards for assessing deficiencies and material weaknesses. As a result of the deficient evaluation of internal control by MHR and its auditors, the SEC found that the company and its auditors failed to inform the public that MHR had a material weakness in ICFR. On the subject of internal control, see also SEC Deputy Chief Accountant Brian Croteau’s remarks at the December, 2015 AICPA Conference on Current SEC and PCAOB Developments, in which Croteau reminded preparers and auditors about the updated internal control framework released in 2013 by the Committee of Sponsoring Organizations of the Treadway Commission (COSO 2013). The SEC’s enhanced actions in financial reporting and disclosure cases – including actions against ‘gatekeepers’ such as audit committee members and external auditors – were emphasized in wide-ranging remarks by Enforcement Division Director Andrew Ceresney in a speech at the Director’s Forum in San Diego earlier this year. Ceresney said that the Commission has “significantly increas[ed] the quality and number of financial reporting cases” since Mary Jo White became Chair of the Commission in April, 2013, with actions in issuer reporting and disclosure doubling from 53 in 2013, to 114 in fiscal year 2015. “We have made similar strides in the number of parties we have charged for such violations,” continued Ceresney, with 191 parties charged last year, including 175 individuals, in issuer reporting and disclosure matters. Financial reporting cases fall into various topical areas, said Ceresney. Some examples he described in more detail were on topics including: revenue recognition, valuation and impairment, earnings management, missing or insufficient disclosures, and internal accounting controls. developing leads through the Commission’s whistleblower and cooperation programs. When an audit committee member learns of information suggesting that company filings are materially inaccurate, it is critical that he or she take concrete steps to learn all relevant facts and cease annual and quarterly filings until he or she is satisfied with the accuracy of future filings. In every potential financial fraud case, we closely scrutinize the work performed by auditors to determine whether their audits were conducted reasonably. We look to see whether the auditors appropriately discharged their duties related to the full spectrum of issuer filings and auditor services. 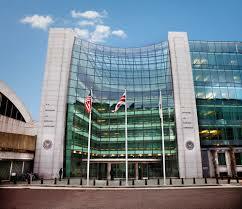 Refer to the full text of Ceresney’s speech for additional details; it is one of the most extensive speeches given by an SEC official in recent years, on the topic of financial reporting fraud.